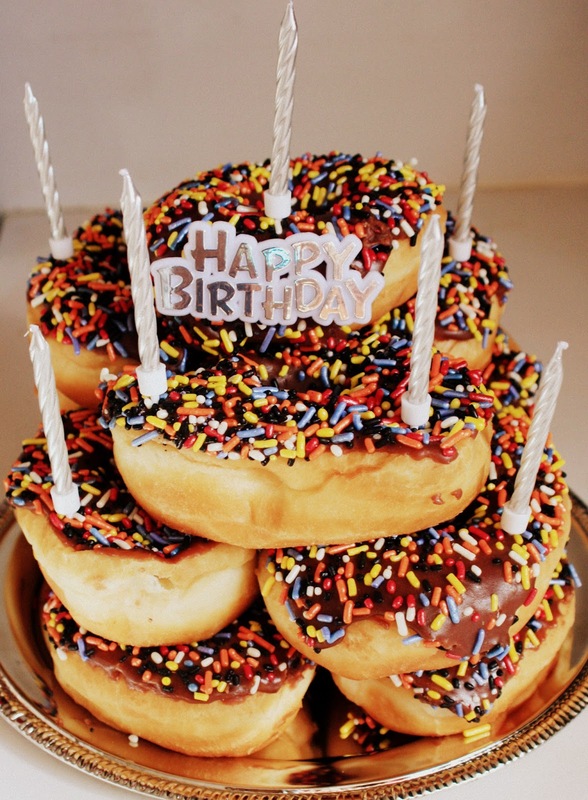 dollop : Doughnut Cake Anyone? My little lady in the middle-- Miss Tiger is a doughnut fiend. So for her birthday we had a doughnut themed party. We ate them, we decorated with them, we hit a giant replica of them until we shook out all its sprinkles and the children dashed to grab them up off the lawn. Tiger has an artistic soul. She sees the beauty in the tiniest of objects and has a keen eye for color combining...something that has taken me years of design watching and pinterest gawking to come even close to, and she has it at seven. She is passionate about the way she sees things and it's hard for her to have her vision altered by anyone. She will spread gorgeousness all around her wherever she goes...mark my words. they are so brillaint, I don't know why I didn't think of it sooner...all the kids loved it! happy birthday to your girl!!! and what an amazing cake!!!!! i must say i love donuts!!!!! Thank you so much! Hope your holidays are fantastic! please respect the pictures of my children and do not pin on pinterest pictures with the faces of my sweet squishies. Thank you. All other pics are fine to pin.